Naked Wines has achieved a record £100 million in sales since March 2015, the start of the financial year. It is the first full year indication of sales achieved by the crowd funded online retailer since it was bought by Majestic PLC for £70 million in April of last year. In 2014 the company reported sales of £53 million, which then represented sales growth of 40%. Its latest result has seen the company increase its sales again from the £74m reported in 2015 to more than £100m this financial year. 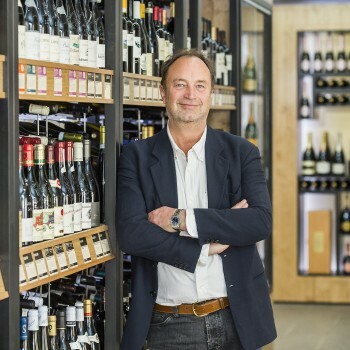 “Hitting this latest milestone proves once again that crowd-funded, social wine distribution can deliver brilliant outcomes for all our stakeholders at the same time – from those who pick the grapes to those who discover and drink our wines”, said Rowan Gormley, chief executive of Majestic Wine PLC, who founded Naked Wines in 2008. Set up in 2008, Naked Wine’s “angels” put in £20 each month which is then invested in a wine producer in return for exclusive deals on their wines and wholesale prices. The company now counts more than 300,000 “mature” angels within its ranks, who have been customers for over four months, supporting more than 100 independent winemakers in 14 countries. Majestic Wine PLC comprises Majestic Retail, Naked Wines, Majestic Commercial and Lay & Wheeler.